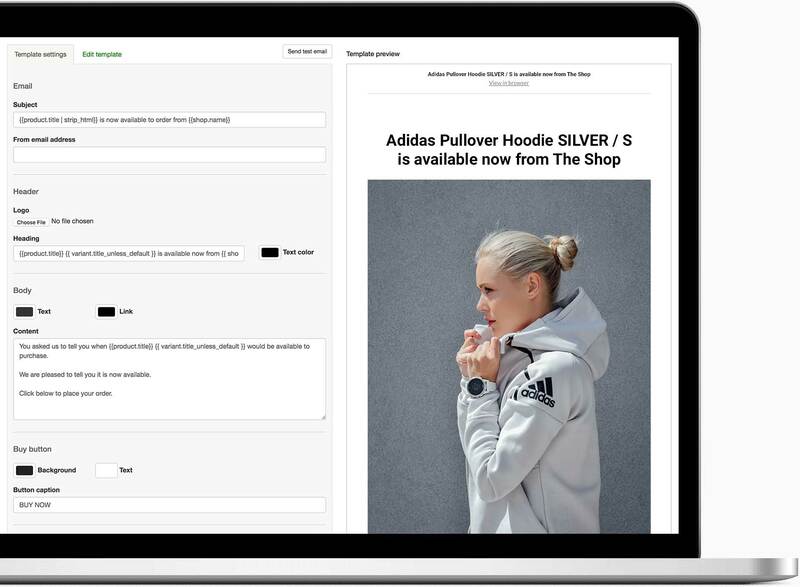 Notify customers when products are back in stock and “triple” your Shopify sales. Start capturing lost sales by instantly notifying customers when products are back in stock. 5 minutes to install. of stock on your Shopify store. Customer sees a product out of stock on your Shopify store. Customer requests an email or text when the product is back in stock. instantly notified by text or email. Product is back in stock. Customer is instantly notified by text or email. Back in Stock offers the most comprehensive set of features for any Shopify stock notification app. We’ve sent millions of in stock notifications for thousands of Shopify stores, resulting in millions of dollars of saved revenue. This app will pay for itself over and over. Shopify store owners love our in stock notification app. Whether you send 20 emails or 200,000 in stock notification emails a month we’ve got you covered with a pricing plan that won’t break your budget. Need to customize your in stock notification experience? Our robust feature set allows you complete control of your in stock notification delivery. Wonder how our Shopify app will display on your product pages? Beautifully of course! Our developers have created custom theme integrations for tons of Shopify themes to ensure your in stock notification form matches your product page and theme, as it should. Even if you’ve done customization to your Shopify theme and had problems with other apps looking seamless, our developer team and support staff have done integration adjustments thousands of times to ensure that your in stock notification form will look fantastic on your out of stock product pages. Wonder how your email notifications will look in your shoppers inbox? We’ve got you covered. There are countless ways to customize your in stock notification emails to look exactly like you want them to appear. Want to pipe emails collected to your marketing platform? Once again, no problem. Need help with your customization?